In today’s quick tip, I show you how to recover your activation key for BeerSmith desktop. There is a nice little tool that can help you locate your key if you have lost it and need to reinstall BeerSmith. 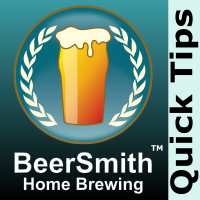 BeerSmith Quick Brewing and Software tips are some short 1-3 minute video clips I’ve put together for brewers. For more clips visit my blog at BeerSmith.com/Blog or subscribe to my Youtube Channel: MrBeerSmith. Please send key for me.